Amazon Prime Day 2018 sale: Amazon Prime Day begins in India from 12pm on July 16, and will run for a duration of 36 hours. Amazon Prime Day 2018 sale: Amazon Prime Day began in India from 12pm on July 16, and will continue today. This sale on amazon.in will extend over a 36-hour period, that ends on July 17. Amazon Prime Day is a global event and features a lot of new products that will debut during the sale period. In addition, Amazon Prime users will be able to avail discounts across brands, in various categories. Some of these discounts will not be available throughout the offer period, though each of them will be eligible for discounts, cashback, EMI and other deals. Samsung Galaxy On7 Prime is available at a discount price of Rs 11,990 (4GB RAM/64GB storage model) in Amazon Prime Day sale. The phone features a 5.5-inch full HD display and a 13MP rear camera. Samsung Galaxy On7 Prime has a battery backup of 3300mAh. 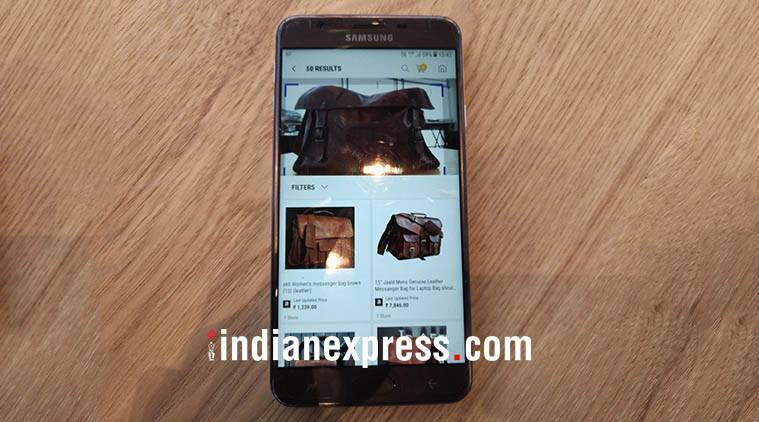 It is powered by the proprietary Exynos 7870 octa-core processor clocked at 1.6GHz. 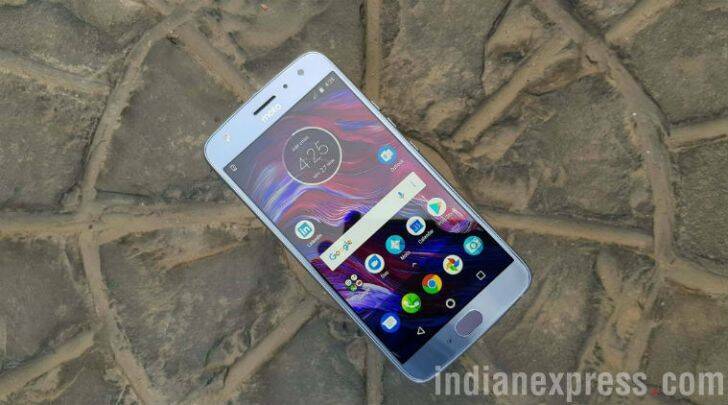 The 4GB RAM/64GB storage variant of the Moto X4 gets a thousand Rupees discount too. It is currently available for Rs 21,999 in the Amazon sale. Other than a classy glass and metal body, the phone is also water and dust resistant, making it an ideal buy for this season. A Snapdragon 630 SoC, dual cameras and near stock Android UI are things that add more value to the package. All you Nokia fans, here's some good news for you. 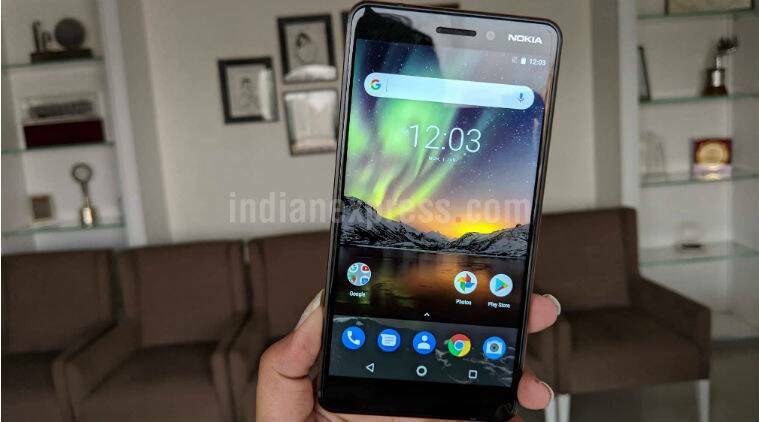 The Nokia 6.1 (2018) handset is now available for Rs 17,890 in the Amazon sale, more than Rs 1,000 lower than it's usual selling price. This handset is a part of Android One initiative that promises timely Android updates for two years from the date of release of the phone. Other than stock Android, you get 4GB RAM, 64GB expandable storage, 5.5-inch full HD screen and cameras with Carl Zeiss optics on this smartphone. 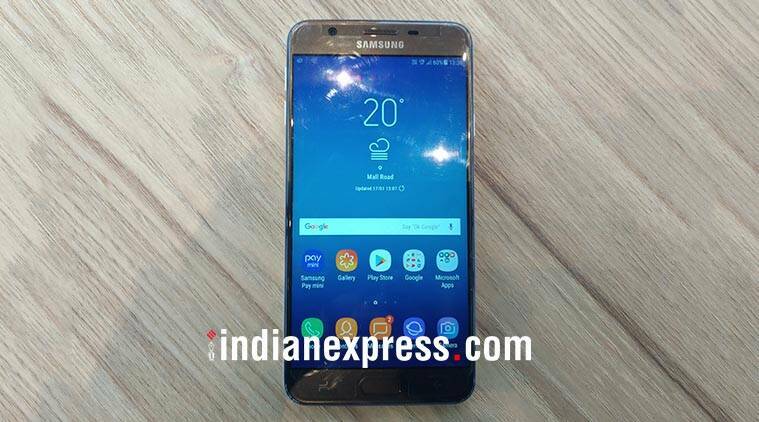 Samsung Galaxy On7 Prime gets a few thousand Rupees off in the ongoing Amazon sale. It can be bought for Rs 11,990, and that too the 4GB RAM and 64GB storage variant. The phone packs a bunch of impressive features for the price like an Exynos 7870 octa-core processor, a 5.5-inch full HD display and a 13MP camera each, at the back and up front. Not a bad deal at all for that price, especially given the brand name. 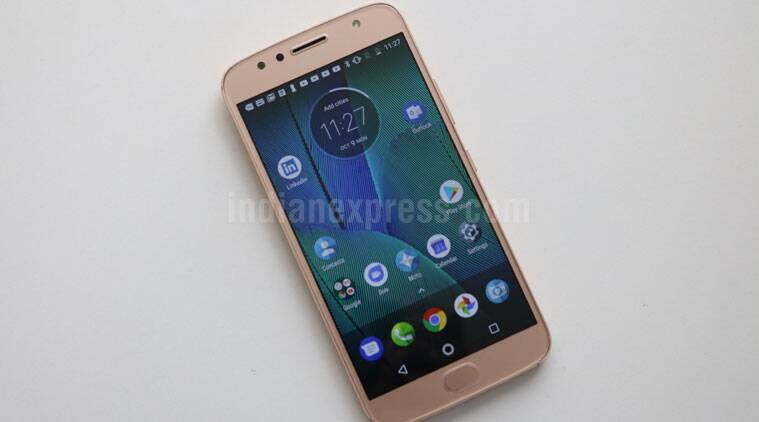 The Moto G6 is out already, but those who do not like a glass body and looking for the secure confines of a metal body, its predecessor Moto G5S Plus is still available and for a discount too in the Amazon sale. You can buy the Moto G5S Plus with 4GB RAM and 64GB storage for Rs 11,999. HDFC cashback and exchange benefits extra. Fitbit Versa, the fitness smartwatch can be bought at a discount price of Rs 16,999 in the Amazon Prime Day 2018 sale. Amazon is also providing a discount offer of Rs 3000 on Fitbit Unisex Special Edition smartwatch as well. The Special Edition is available at Rs 18,999. 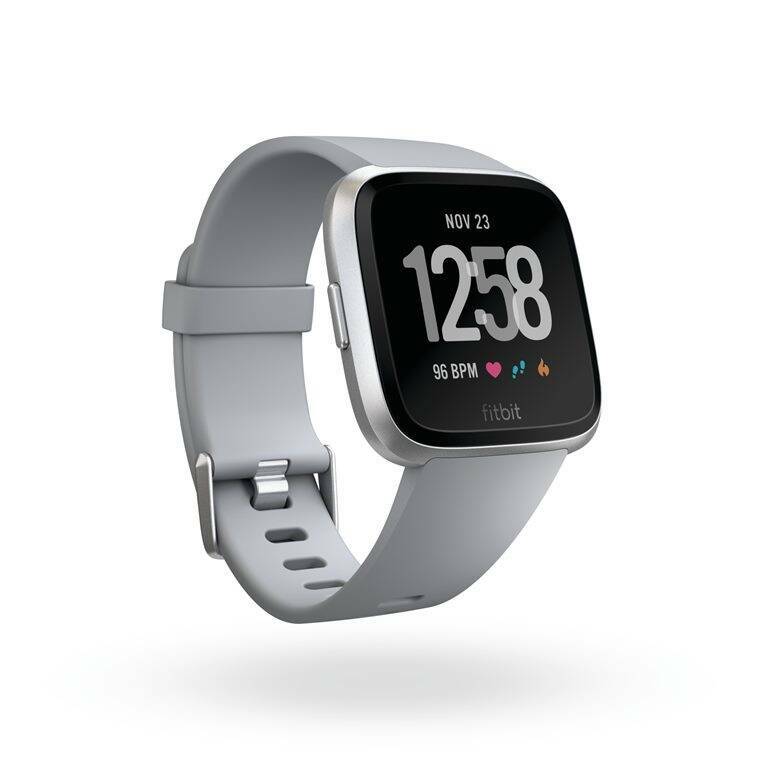 Fitbit Versa flaunts a modern design and offers advanced health, fitness features, a battery life of up to of four days. The smartwatch from Fitbit is powered by Fitbit OS 2.0 and it is compatible with all major platforms- Android, iOS and Windows. Amazon is providing an exchange offer of Rs 2000 on OnePlus 6, one of the latest smartphones with a Snapdragon 845 processor. Plus, Amazon Prime members can avail additional 4G data worth Rs 500 on Jio network. OnePlus 6 is priced starting at Rs 34,999. The phone comes with 6.28-inch full HD AMOLED 19:9 display, dual camera setup and packs 3300mAh battery. While the bigger iPhones are yet to get generous, the Apple iPhone SE is listed at a discounted price. The 32GB variant can be purchased for Rs 16,499, while the 128GB version will set you back by Rs 27,990. HDFC cashback and exchange benefits extra. The Apple iPhone SE is still a good entry point for someone looking to try their hand at the iOS ecosystem. Sandisk 32GB Class 10 memory card is available for Rs 599 while a Samsung EVO Plus or Samsung EVO Select with the same capacity can be purchased for Rs 649 in the Amazon Prime Day 2018 sale. A 64GB variant from Samsung is listed for Rs 1,199. All cards come with a MicroSD to SD card adapter, in case you need to use with a DSLR or other devices that support SD cards. That's right, the flagship Echo device with a screen is now selling for Rs 8,999 on Amazon till 3pm IST. It generally sells for Rs 13,999. If you were eyeing that smart speaker for a while, now is a great time to pick one. Click here to know more about it. The Vivo Nex will be launched in India as an Amazon exclusive. During Amazon Prime Day, this phone is expected to be available for pre-booking and sales. 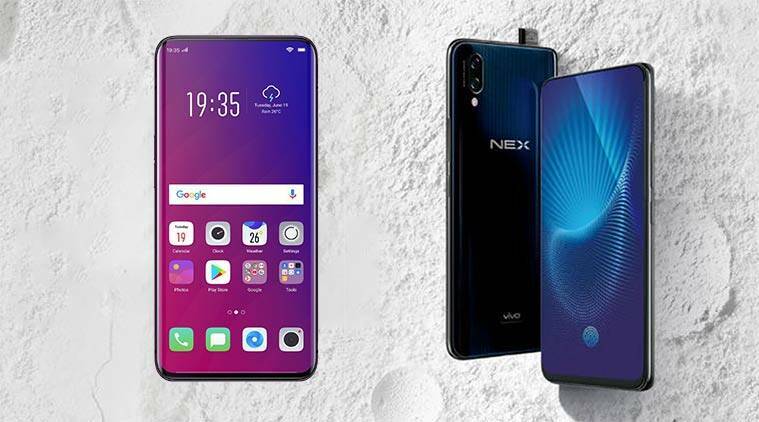 The Vivo Nex is among the full-screen smartphones that have been launched recently, like the Oppo Find X. This comes with a pop-up selfie camera, that helps provide a screen-to-body ratio above 90 per cent. Huawei P20 Pro was launched in India at a price of Rs 64,999 and it will be available at Rs 59,999 during the Amazon Prime Day Sale for 2018. This is Huawei's smartphone with triple cameras at the back, and a worthy rival to the iPhone X, Samsung Galaxy S9 and the Pixel 2 series. The Prime Day sale will also see the launch of new Intel 8th generation laptops. Some of the options are HP 15-bs145tu model which has 8th Gen Intel Core i5-8250U, 8GB RAM, 1TB storage and Free DOS/Integrated Graphics for a price of Rs 36,490. However this laptop does not come with Windows 10 pre-loaded. There is another HP variant with a 15.6-inch FHD display with 8th Gen Intel Core i5 processor, 8GB DDR4 RAM and 1TB HDD available for Rs 46,990 on Amazon Prime Day. Moto G6, Moto E5 Plus, OnePlus 6 might not have any discount on the actual price during the Amazon Prime Day sale, but these remain solid options to pick. OnePlus 6 has a starting price of Rs 34,999 and there is extra Rs 2000 off on exchange of a OnePlus device and extra Rs.1000 off on exchange of any other device when you purchase a OnePlus 6. During Amazon Prime Day sale, the OnePlus 6 will be delivered in just under 2 hours in select cities. Amazon is offering its Echo speaker at a price of Rs 6,990 during the Prime Day Sale. The Echo speaker costs Rs 9,999 and is powered by Amazon's Alexa voice-assistant. The discount is nearly Rs 3009 on the Amazon Echo speaker, which is a bigger version of the Echo Dot. Those looking for some inexpensive external storage, the Toshiba Canvio Basics 1TB USB 3.0 external hard drive is selling for Rs 3,199. If you need more space in a compact form factor, you may want to consider the Seagate 2TB Expansion USB 3.0 portable 2.5 inch external hard drive that is up for grabs for Rs 4,999. Reduce another 10% from those discounted prices if you pay using HDFC cards or make it Rs 300 less if you pay using Amazon Pay balance. Vivo Y83 is now available in the Amazon Prime Day 2018 sale for Rs 14,990. That makes it the cheapest Apple iPhone X-style notch display phone in India. You can get further discounts using HDFC cards or through exchange of your old smartphone. But the specification on Y83 are fairly modest and do not measure up to some of the similar looking phones that sell for Rs 3,000 to Rs 5,000 higher like the Oppo F7 or Huawei P20 Lite, or even Vivo's own V9 Youth. For those looking for entry-level smartphones, there are some really attractive deals on 10.Or smartphones. The 10.Or E is now selling for Rs 5,499 for the 3GB RAM and 32GB storage model. Even better, the 10.Or G is selling for a heavily discounted price of Rs 5,999 for the 3GB/32GB model and Rs 6,999 for the 4GB/64GB model. That is a steal given that the phone is powered by a Snapdragon 626 SoC with aforementioned amount of RAM and storage along with a 5.5-inch full HD screen, dual cameras and stock Android. Huawei P20 Lite gets a flat Rs 2000 price cut. The affordable Huawei phone with Apple iPhone X-like notch display with 4GB RAM and 64GB storage is now available for Rs 17,999 in the Amazon Prime Day 2018 sale. The flagship Huawei P20 Pro with triple cameras has got a sizeable Rs 5000 discount and can now be purchased for Rs 59,999. HDFC cashback and exchange benefits are over and above the mentioned prices. Honor 7C gets a 500 price cut in the Amazon Prime Day 2018 sale for both the variants. The 3GB/32GB variant is now available for Rs 9,499 and the 4GB/64GB variant for Rs 11,499. Even better, the Honor 7X with 4GB RAM and 64GB storage is available in the sale for Rs 13,999, a good Rs 1000 below its usual price. HDFC cashback and exchange benefits are over and above the above mentioned prices. Here's some music for your ears, figuratively and literally both. The gray variant of 1MORE Piston Fit Earphones with mic is selling for Rs 799 on Amazon. 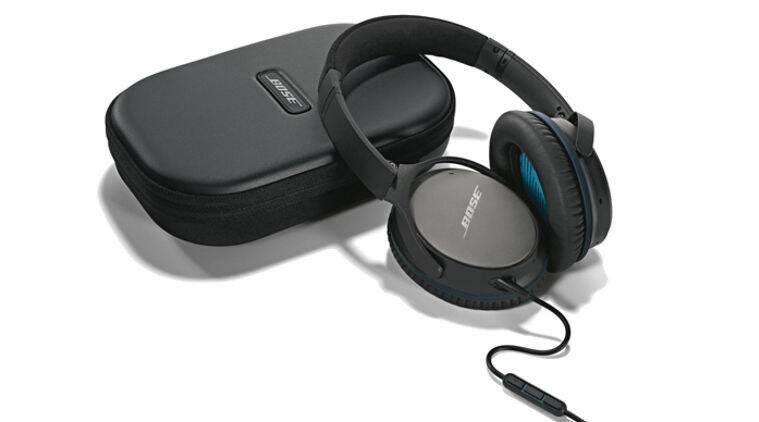 Many regard it as the best earphones under Rs 1000 in India. It you want to save a few hundred Rupees, then the JBL C100SI in-earphones is not a bad option either for Rs 599. The JBL earphones will be available only for the next few hours or till stocks last in the lightning deal. Both earphones carry a one year warranty. Those looking to set foot into the world of DSLRs, here is a sweet deal on an entry-level DSLR from Canon. The Canon EOS 1300D is selling for just Rs 20,990 with a standard 18-55mm lens, 16GB memory card and carry case. If you want something a little more advanced, then the Nikon D3400 is on offer for Rs 32,990 with a standard Nikkor 18-55mm lens and a 70-300mm f/4.5-6.3G ED VR Lens. A 16GB memory card and a carry case are bundled here too. You can get further Rs 1,750 instant discount on both cameras by using HDFC cards in the Amazon Prime Day 2018 sale. Another great offer to jump on! Amazon Echo Dot smart speaker is now selling for Rs 2,449 for Prime subscribers. For those unaware, Amazon Echo Dot is powered by Amazon's smart assistant Alexa – a cloud based voice service to play music, make calls, check weather and news, set alarms, control smart home devices, and much more. To know more about Amazon Echo devices, click here. Buying the smart speaker for that price would be a smart decision indeed. You read that right! Amazon Fire TV stick is now selling for Rs 2,799 for Prime subscribers. That is a good 30% down from its usual price of Rs 3,999. If you don't own one already, you have no reason to not go for one right away. If the discount wasn't enough, you also get 3 month Sony LIV subscription and 6 months of Gaana+ free in addition to other offers from YOU broadband, Spuul, Yupp TV and Hungama. As I mentioned earlier, CloudWalker will be launching two new models in their X2 Smart TV lineup during the Amazon Prime Day 2018 sale today. We now have their prices. The 40-inch model will be priced at Rs 24,990 and the 43-inch model can be purchased for Rs 26,990. HDFC Bank card holders should be able to get further cashback on them. Just 30 mins to go for the Amazon Prime Day 2018 sale to begin. Gear up! CloudWalker recently launched their X2 series of Smart TVs in India. They are available in 3 sizes - 32", 50" and 55". If you thought they were too small or too big for you, the company is launching two more models in the Amazon Prime Day 2018 sale today. The new 40-inch and 43-inch variants come with all the goodness of their larger screen siblings like a full HD display, Android Nougat OS, quad core processor, 1GB RAM and more. These too are 4K ready, meaning they can playback 4K content in full HD resolution. It does not mean they have 4K resolution screens. We will share the prices as soon as they are unveiled. Watch this space for more updates. Should you get an Amazon Prime subscription? The simple answer is Yes, if you wish to indulge in this Amazon Prime Day 2018 sale, unless your friend who is already a Prime subscriber is willing to share his login details with you. But then the Prime membership costs just Rs 129 per month or Rs 999 for the year, and there are tons of benefits even beyond this sale. So why borrow? If you are still in two minds, here are 5 reasons why you may want to consider getting the membership. Xiaomi's selfie-centric Redmi Y2 goes on sale on Amazon at 1pm today exclusively for Prime members. It will be priced at Rs 9,999 for the 3GB RAM/32GB storage version and Rs 12,999 for the 4GB RAM/64GB storage variant. As a part of Amazon Prime Day 2018 sale, you will get 10% instant cashback on HDFC cards, along with exchange benefits. If you are interested in the device, make sure you login before 1pm today. If you miss it, don't worry, there are other comparable options too, even from Xiaomi like the Redmi Note 5. The Samsung Galaxy Note 8, priced at Rs 55,900, will be available at Rs 41,900. As part of the sale, Amazon Prime users will get Rs 10,000 extra cashback on the Galaxy Note 8, along with additional cashback worth Rs 4,000 from HDFC Bank.In addition, the Galaxy Note 8 is also eligible for cashback and EMI offers. Amazon Prime Day 2018 sale: Through the Prime Day, Amazon.in will offer new deals every three hours. While Amazon Prime users would be notified of the latest sales, those who are still to sign up for Amazon Prime can also avail these benefits. They can do this either by signing up for a monthly plan starting at Rs 129, or an annual membership worth Rs 999. Those on the free one month trial can also try out the Amazon Prime Day sale. Besides products from other companies, Amazon has also announced deals on its own products, that include the Echo speakers, as well as the Kindle e-readers and Fire TV Stick, among others. Among smartphones, Amazon has already announced various discounts across popular devices. Those include offers on the OnePlus 6, Huawei P20 Pro, Moto G6 and Samsung Galaxy Note 8, among others. As previously mentioned, new offers are expected, which will definitely mean more smartphone deals.